cannot wait to try. one of my friends was sweet enough to gift me with a hook that i received yesterday in the mail. looking forward to all the fun i will have with it. Thanks! I hope you love it! 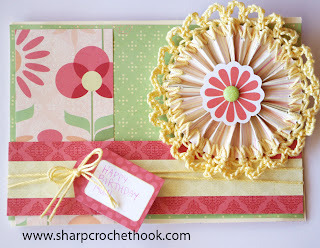 Let me know if there is a Sharp Crochet Hook project idea you want me to try for the blog.